Continuing on my Euro road trip series, Jacek, Jessica, and I drove 2.5 hours from the coast of Poland to Berlin. We spent 3 days there, which brought us to the halfway mark of our itinerary. As soon as we arrived in Berlin, I received major NYC vibes from its evident diversity (relative to Poland) and liveliness. It felt natural for me to be there, so much so that I could even see myself living there and loving it. 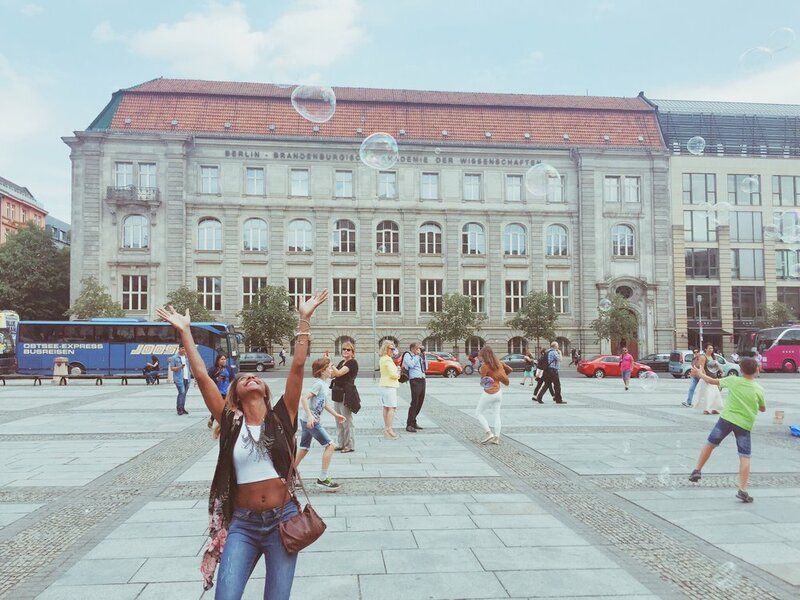 Here's a first-timer's guide to spending a few days in Berlin! Overview of our Euro roadtrip! 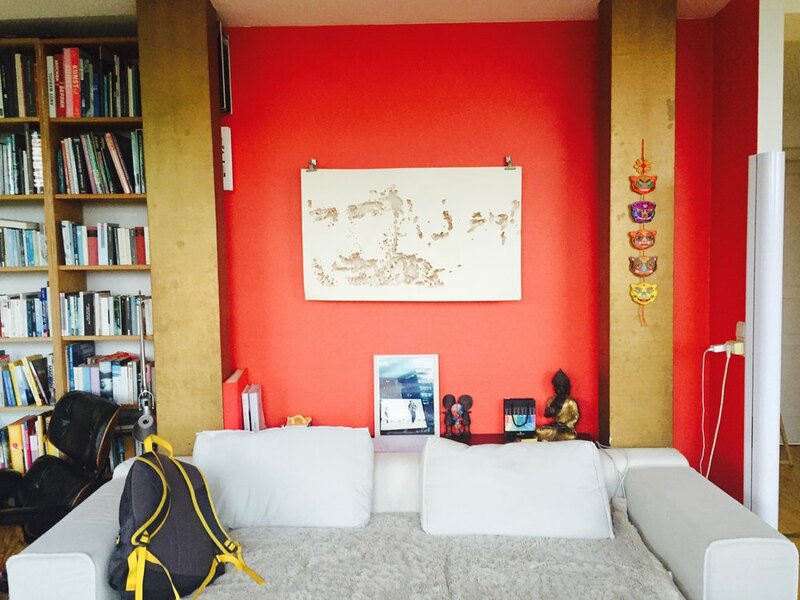 We stayed in a beautiful penthouse in the Prenzlauer Berg neighborhood. Our street reminded me of a less crowded SoHo in NYC. There are tons of restaurants and bars, including one that was directly below our apartment, and lots of people out and about, but not to the point where you felt overcrowded. 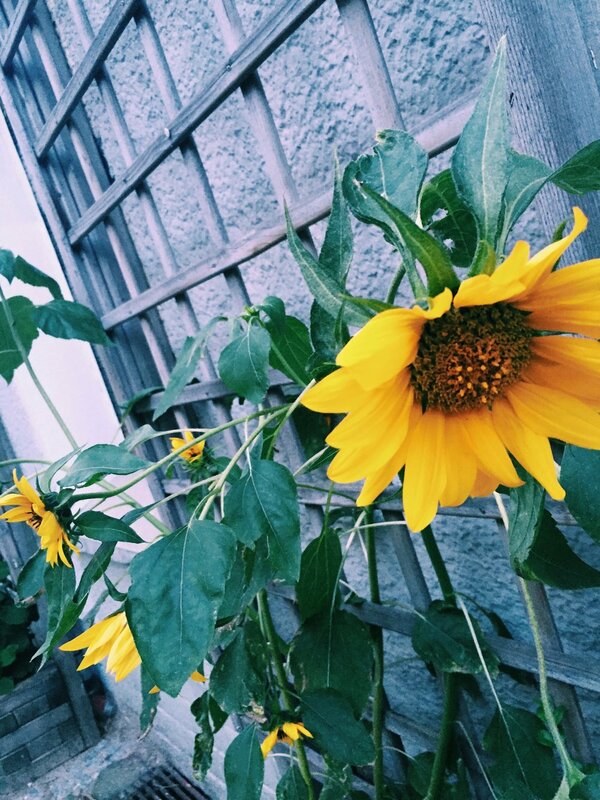 I also loved the abundance of sunflowers throughout the neighborhood. We booked this penthouse using Airbnb and had a positive experience. This was my first time using a shared apartment space internationally, but it actually worked out to our benefit. The apartment was big enough that us and the hosts didn't feel on top of each other, plus we were only there to sleep and eat a few meals, so shared apartment space for the win! Y'all know I'm all about the local experiences and, if you think about it, people who want to be in their homes the same time as you are more likely to want to socialize with you. 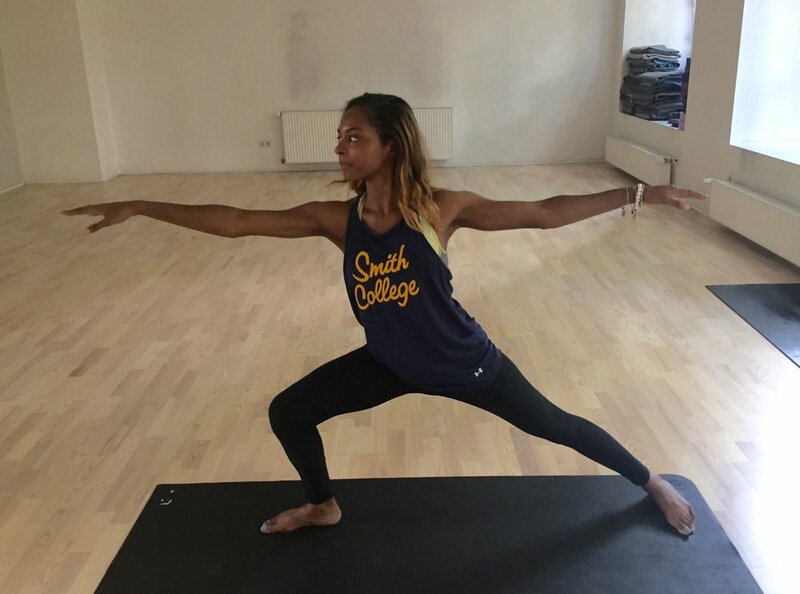 Our host, Kai, is a yogi master who runs a studio in Berlin and teaches yoga all over the world. I also found out that he'd lived in NYC (so he automatically received double cool points from me, lol). I asked him if he was teaching yoga during our stay, and he said yes and invited us to be his guests. 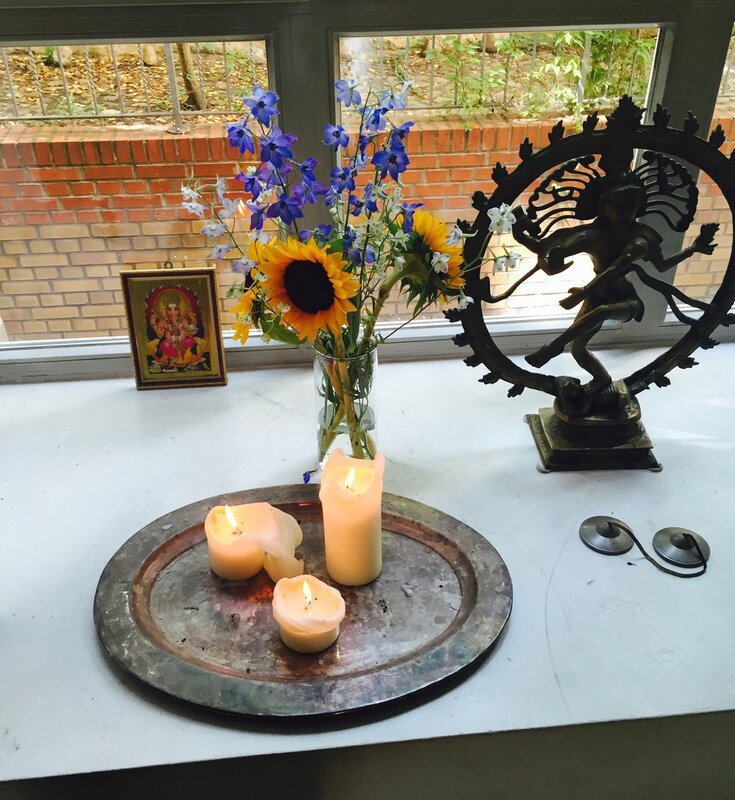 If you are ever in Berlin and want to include yoga into your trip, check out his studio, Yoga Tribe. 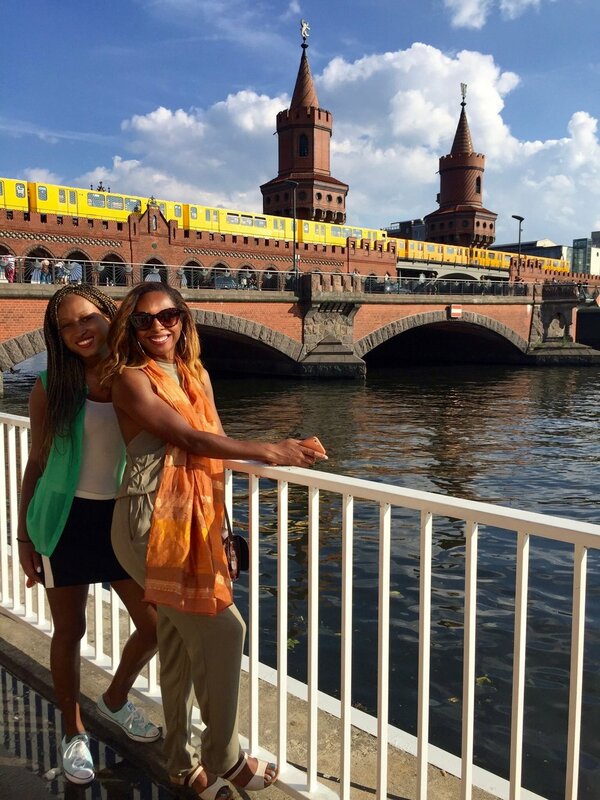 Berlin has an extensive public transportation system so there was no need for us to drive anywhere. We found metered parking easily on our street. 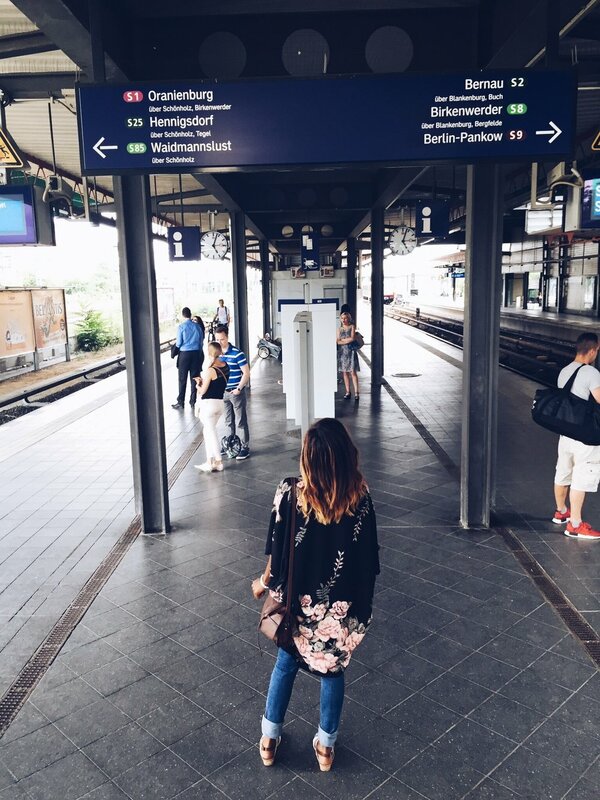 There are four public transportation options in Berlin: underground subway, buses, trams, and taxis. During our time there, we navigated the subway and tram system easily. I highly suggest you have euros to purchase your tickets. You don't want to be stuck scrambling for euro coins to buy tickets because no one's card worked at the machine (true story). You can purchase subway tickets on the subway platform and tram tickets inside the tram or on its platform. The blue car pictured above is an East German car called Trabant or Trabi and is a cultural icon. When the Berlin Wall fell, thousands of East Germans drove their Trabis across the border! Despite its major cultural significance, it is known as one of the worst cars because it's made of cheap materials (resin mixed with cotton). We didn't get a chance to drive in one, but you can rent one and drive around the city at Trabi World. Enjoy live music by the Oberbaum Bridge. Berlin's double decker bridge, Oberbaum Bridge, runs along River Spree. It signifies unity as it connects Friedrichshain to Kreuzberg, former East Berlin and West Berlin boroughs (respectively). The bridge is usually busy and a great place for musicians to play their music. 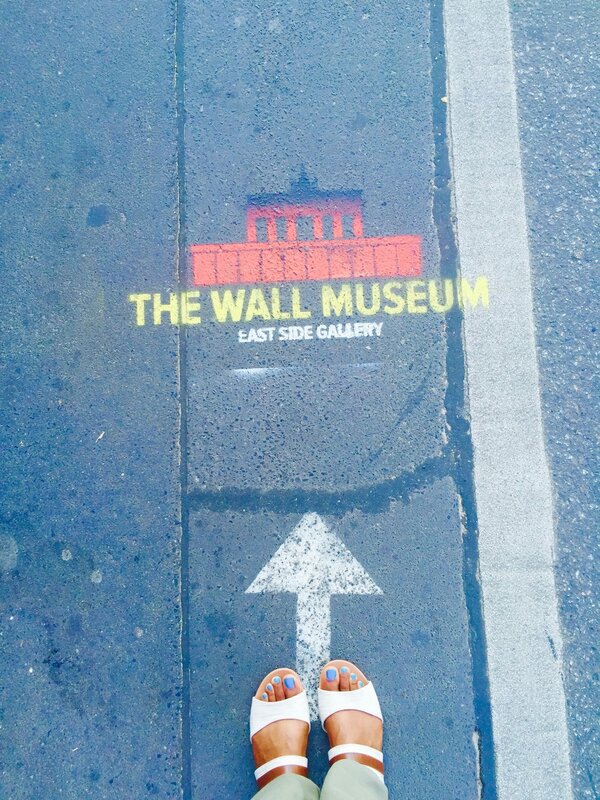 Visit the East Side Gallery of the Berlin Wall. Close to the Oberbaum Bridge is the East Side Gallery of the Berlin Wall, which divided East and West Germany for 28 years. Currently, the East Side Gallery features beautiful paintings from over 100 artists from all over the world and a random Beyoncé-inspired party flyer. The fall of the Wall was an important part of history and this a beautiful tribute to it. 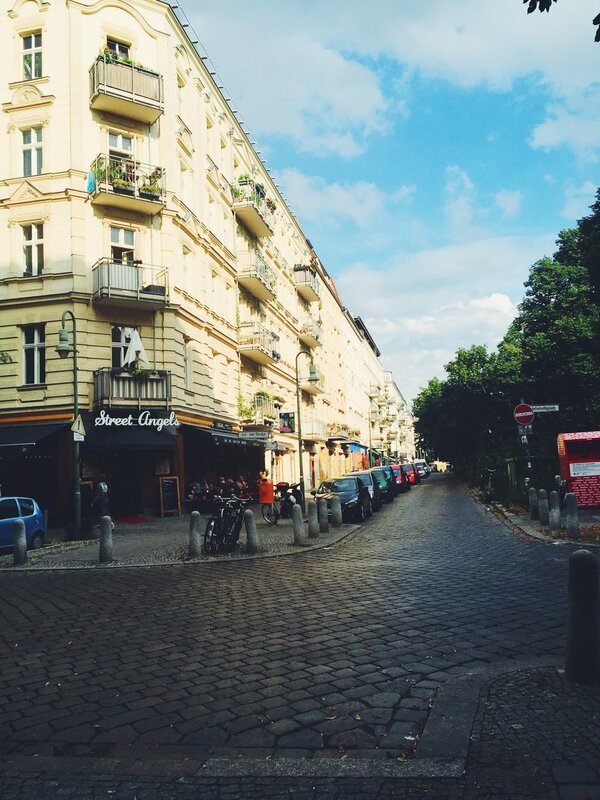 Check out Kreuzberg and enjoy a California Pop. After visiting the East Side Gallery, we headed to the Kreuzberg for food and had some of these delicious ice-cream bars from California Pops. Kreuzberg is a fun and artsy neighborhood that used to be shut in on three sides by the Berlin Wall. 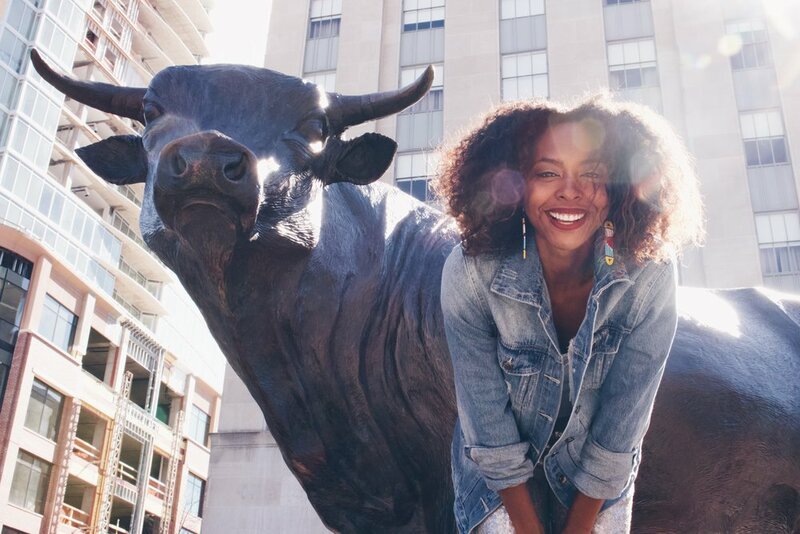 Go on a free walking tour. In a perfect world, we would have started our trip with a walking tour to organize the rest of our time. However, life happened and who wants to rush during vacation?! This is a memorial to the Jewish victims of the Holocaust and is overlooked by Parliament so they never forget about the atrocities of that era. This can be found on the border of Berlin Mitte and Kreuzberg. It was the assigned crossing point for non-German citizens and members of the Allied Forces during the Cold War. This is an exhibition that is located in the former premises of the SS headquarters and highlights the terror caused by the Nazi regime. This is a free museum that our tour guide mentioned during our tour and which we visited afterwards. You can literally spend hours there, but we got really hungry and only spent about 45 minutes there. Pro Tip: don't go to a museum hungry lol. We visited a few of the label-less spots of Hitler's bunkers (underground hiding places). It was really eerie, especially because there are right in the middle of an apartment complex. If you are a fan of chocolate, you must visit Rausch Schokoladenhaus. It is arguably some of the best chocolate I've ever had. Our tour guide said that is where he spends all his tip money. They have many Berlin landmarks made out of chocolate as well as other things, like an angel baby, a plane, and Titanic. Our tour ended here. 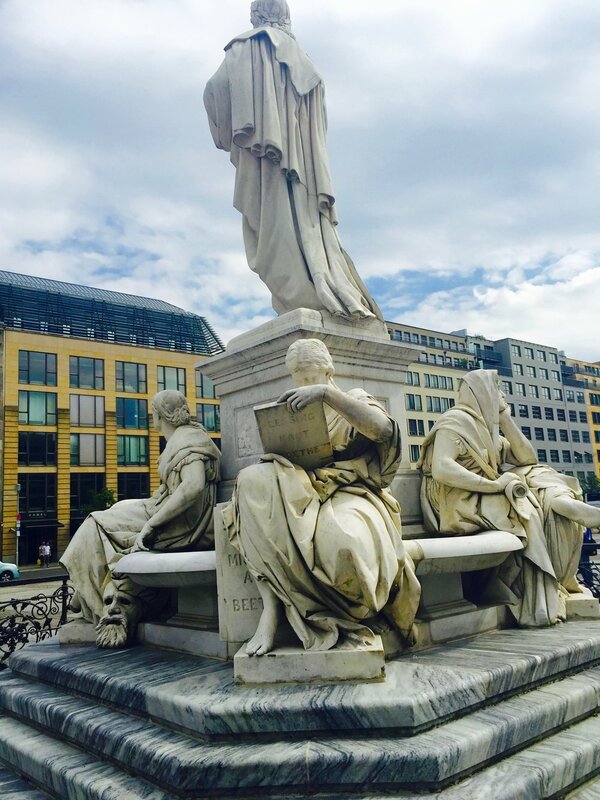 It is a lovely square surrounded by the German and the French Cathedral and Schinkel's Konzerthaus. Visit Mauerpark's Sunday flea market. During our last brunch in Berlin, we started talking to this local. I asked what he suggested we do before we leave and he immediately said go to Mauerpark (Wall Park) on Sunday where they have an amazing flea market, open air karaoke, and positive vibes. I got some really great souvenirs from here and, luckily for my pockets, we gave ourselves a time limit. Have you been to Berlin? What's on your top things to do list?